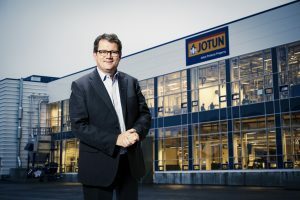 Morten Fon is the CEO and President of Jotun. Following an MBA in Finance and Business Administration in Aalborg, he started working for Jotun in 1989. He has since been Managing Director in their Egypt and Malaysia offices, as well as Regional Vice President in South East Asia, before becoming CEO and President in 2005. Where did you start? International experiences? Describe the path to where you are now. I suppose that my path is a bit similar to the Jotun-way and the way we encourage development. I studied in Copenhagen, where I completed a bachelor’s degree and immediately after started an MBA. Unfortunately, I did not feel that I got the full advantage of an MBA, as I had little experience to draw upon. After completion, I started working for Jotun in 1989. Starting in finance, I moved on to sales and marketing before general management, which took me to Egypt and Malaysia and then on to Regional Manager in South-East Asia. Jotun encourages employees to gain experiences in different fields internally, so they are actively promoting rotation and mobility; I am an example of that. With 10 000 employees in countries all over the world, it is important to have people who know the culture and strategies, to ensure they are implemented and that we are perceived as one company globally. We therefore say that we “borrow our jobs” at Jotun and we have found that it motivates employees. They want to ensure that their job is done well and that the position is improved upon for their successor. Especially once employees reach a certain level; we try to move people around every three to five years. In our experience, this approach creates motivated and multi-skilled employees, who are accustomed to Jotun’s culture and approach. By rotating positions, they are able to bring that culture to all of our global offices. 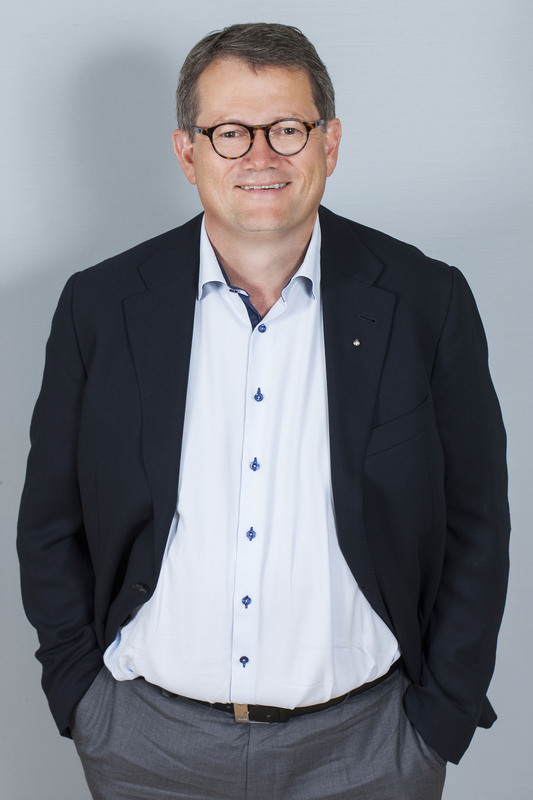 I am also a product of the Penguin Way, having been the country manager in Malaysia, Egypt, South-East Asia before returning to Norway and being the CEO here. We say here that we “hire for life,” and through this approach, we feel that we develop well and that we ensure durability in all aspects of the company. It is, undoubtedly, a challenge to have a global impact when we have a presence in more than 70 countries. One of my main duties is to communicate our messages and strategies globally, which, for me, means a significant amount of travelling. It is essential for me to be present and approachable. Additionally, we have two annual business reviews, where we have a team in each of the company locations evaluating new and present strategies, to ensure that they are within the framework of how we want to operate. We also have the Jotun Academy, a global program where we discuss company culture and strategy. We have found that this approach is essential to implement and develop the desired company culture. Importantly, we are a Norwegian company, with a matching company culture and a short distance from top to bottom. Although each country office is relatively free to make its own decisions, it is vital to build on the Jotun company culture that has worked so well for us. First, it is important to give freedom to each country office. After all, they are best equipped to handle local problems and challenges as they see fit and experience the local culture and challenges every day. Overall, we have a structured innovation process where we try to encourage creativity from every company location across the world. We try to grow organically, to grow in places where we are already established as well as new markets. We start by establishing a sales office, selling products that are shipped from a different location, and when we reach a certain sales volume, we establish our own production facilities. As we believe in producing our products as close to the market as possible, we have about 40 production facilities globally, where we produce goods for the US market in the US, for the Australian market in Australia and so on. I travel about 120-150 days each year, which is a lot, but a very important aspect of my job. Additionally, I strive to be myself regardless of which countries I visit. I strongly believe that it would be too transparent if I drastically changed personality from country to country. I adapt my approach somewhat, but I work hard to maintain the Jotun culture and to be approachable. It might take some getting used to for some people where they are not used to that type of approachable philosophy. Culturally, there are certain and obvious differences between countries – and one must consider those – but my point of not changing my leadership style is important to me. I want to maintain that openness and approachable perception, based on the Scandinavian culture. However, you still have to respect the local culture. As an example, we have a large office in Saudi Arabia. They perceive things differently and, for me as the company CEO & President, it is important that I recognize the most important people in the room first. Those kinds of local customs are important but I still strive to be myself, which I perceive as a strength. We are open to new ideas and suggestions. We have a very structured innovation process, where anyone is available to pitch ideas and the chosen ideas are subsequently developed through six steps before eventual implementation. The most difficult aspect is choosing which ideas to end, as there are so many innovative, good ideas being introduced. Sadly, we do not have the resources to implement all of them. It is also very important to listen to our customers and their feedback. Our philosophy is to hire younger, ambitious people. The younger generations have a different view on life and certainly a different approach to challenges. Listening to the younger generation and taking them seriously is fundamental to ensure innovation and growth! For everyone to be aligned, I think, is a lot about presence and communication. Ensuring that we have the right platforms makes it easier to be both present and to communicate with each other globally. An essential part of building company culture and implementing company visions is through internal communication systems. When offices around the world watch videos or see messages from the headquarters and then react to them, we understand that we have a presence. That is perhaps particularly important when we are as geographically divided as Jotun is. I was also lucky enough to implement — and put words to — our company culture, the Penguin Spirit, which is the framework upon which we build our company culture. This ensures that each office location has its freedom, but remains within the areas that we define as important to our company. Loyalty, respect, care and boldness, are the four pillars that define what we want to do and how we want to do it. It is important that employees know the context of those words. The third point is an ethical framework with statements on how to behave in certain situations with clients, customers or partners. It makes everyone think about how they are behaving given situations and, subsequently, helps align employees to the company’s core vision. It is quite personal, but I believe in being approachable and being there for people and the organization. It certainly makes it challenging when we have offices all over the world, but I deem it as one of my most important tasks. It is impossible to build the same type of trust via Skype. It also relates to when we have to downsize, it is vital to be there and show that you — as a leader – care. Generally, I think that is quite typical in Norway. The flat structure and short distance from top to bottom is different compared to other cultures, particularly compared to Asia, and slightly to the US as well. In Asia, they hardly believe their eyes and ears when I can just as easily talk to a worker on the factory floor as the people in the boardroom! On-the-job-training and being open to receiving feedback from colleagues around me is important. Additionally, actually listing to feedback and considering it. Equally important is building a network of people you trust and whom you can lean on. That can be everything from former colleagues, to customers or other people in the business. I also participate at Jotun’s academies like every other employee. How does technology impact you day-to-day and help to develop your leadership style? I use a wide range of technology on a daily basis. Everything from collaboration platforms to Skype as it helps me in my daily tasks and gives opportunities I previously did not have. We actively use various technology features internally, such as filming and editing a video in Norway before distributing it to all global offices. It does not mean that I do not have to travel, but it makes my life easier. Moreover, related to production, technology enables us to increase efficiency through automation, as well as analyzing big data to improve the quality of our products. Take industrial coatings on ships as an example. We are now able to look at how fast a ship is travelling, what the waters are like, whether the current is strong and many additional factors to determine when the ship needs maintenance. This is all based on technology and ensures that we can deliver an even better overall product. How does your leadership style translate into the services enjoyed by your clients? I think I fit well to Jotun’s vision and ideas on how to develop employees internally. We have a strong company culture and I have been lucky enough to describe it through the words loyalty, respect, care and boldness. Furthermore, albeit faithful to tradition, I have the courage to think outside the box and explore new markets and new ideas, which is essential if you want organic growth. It is important to have empathy – show that you care about and respect people, which I believe will help the company generate value and growth over time. Jotun has produced anti-fouling paint since 1926, and it has developed from something rather toxic to a product that is today relatively environmentally friendly. However, it is essential to continue developing our products, which is why we have been looking at how we can improve the effectiveness of ships. 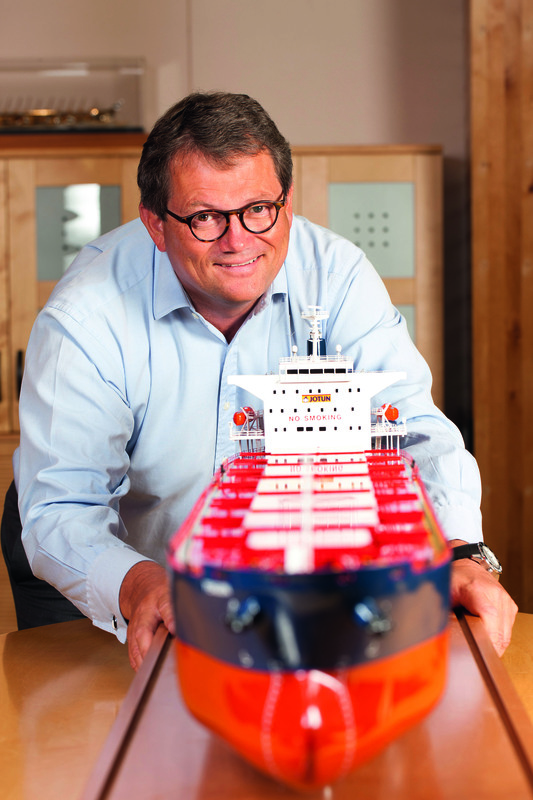 To shift our way of thinking from ship protection to hull performance and to prove that our products are, in fact, improving the ship’s performance. This is where big data comes in, as well as Jotun having spearheaded an international maritime standard with the International Maritime Association to generate a set of factors to measure ships’ efficiency internationally. This has enabled customers, when looking at the generated data and the measurement standards, to determine that coating is more than just the paint itself; it is actually an important factor to define ship performance. Customers are able to track weather, water temperature, currents and are consequently able to control – at a much larger and precise scale than previously – when the ship needs maintenance. Lastly, we have recently set up a company in Kenya. It is quite fascinating to see the excitement when people are building something from scratch. The reception there and the enthusiasm was fantastic to experience. Over the past 10-15 years, we have been the fastest growing company in the world in our industry. I would like to continue that growth. To do that, however, we need to plan. We need to increase efficiency and explore new markets, as we are now doing in Kenya. We entered the countries where we are successful today, such as Malaysia, Saudi Arabia, Thailand and Dubai, about 20-30 years ago. Those moves, and the efforts sowed by our predecessors then, are what we reap today. It is now up to us to ensure that future penguins can inherit an equally prosperous company, with equivalent potential for growth when their time comes. What do you see in the next generation of leaders aspiring to run international organizations? Any advice for them? I genuinely believe that the young people we are hiring today are much more qualified and skilled than we were at that age. They have a better understanding of the world and are generally more prepared. Additionally, I think many of them work harder than we did. It is up to us, the leaders of today, to provide the framework and opportunities for the leaders of tomorrow to develop. Therefore, they need to challenge us as much as we are challenging them! I was at a dinner last night, so I wisely ignored the phone. As we have offices in every time zone, I receive and reply to emails at all hours.